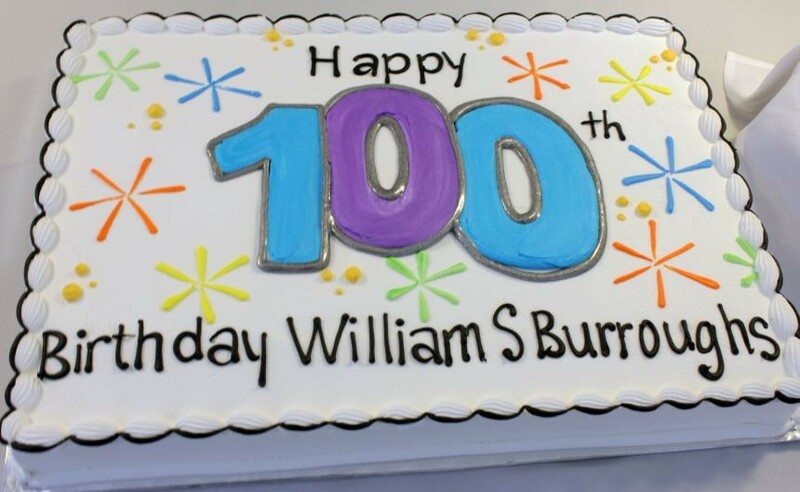 William S. Burroughs: Cemetery Lays Wreath And Serves Cake For Author's 100th "Birthday"
Sadly, someone forgot to lace William S. Burroughs' birthday cake with Moroccan heroin. This week's print edition contains a fantastically illustrated account of the life of St. Louis-author William S. Burroughs. He's the Beat writer, counterculture icon and heroin junkie whose wild life produced some of literature's most transgressive and innovative works, including the novels Naked Lunch and The Soft Machine. 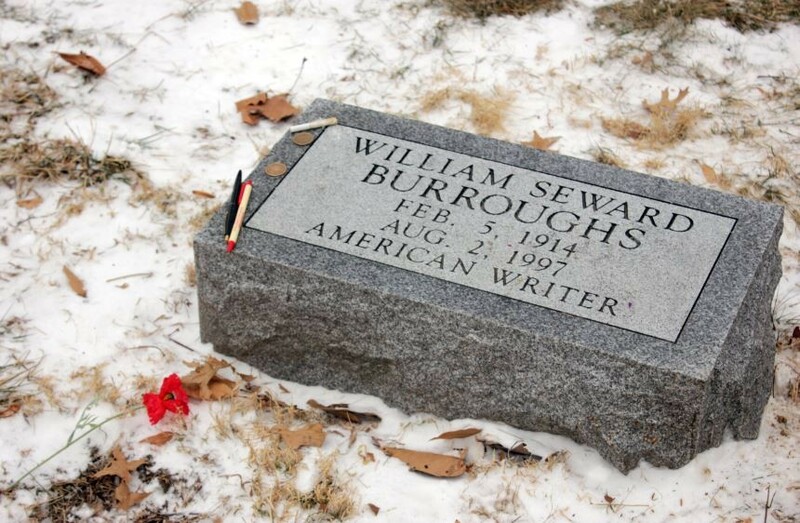 Burroughs died in 1997, and yesterday marked one-hundred years since the writer's birth. So, the Bellefontaine Cemetery arranged a memorial service and reception (with cake) for arguably its most famous resident. "We're remembering a man who had a lot to do with shaping an entire culture of people," said Richard Lay, vice president of customer relations at Bellefontaine Cemetery and a well-read fan of the author. "He let folks see a different side of life." Around a dozen acquaintances and admirers gathered around Burroughs' headstone Wednesday afternoon. 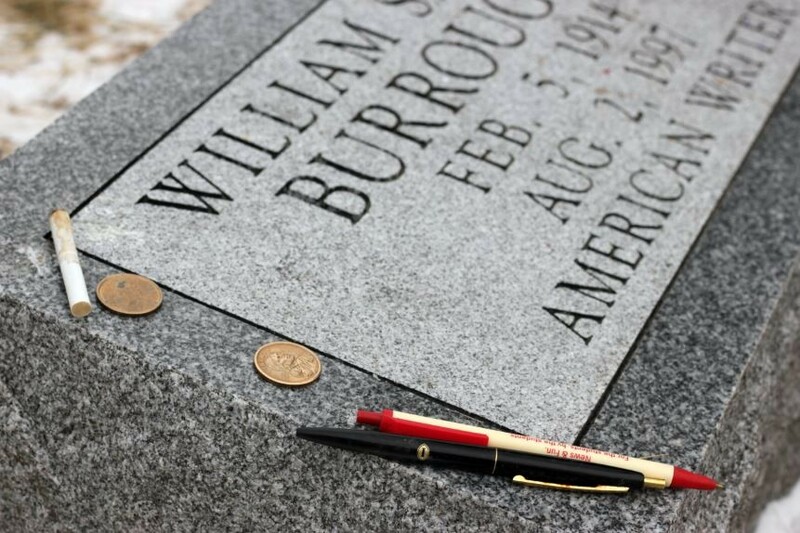 The low-profile marker is located just a few feet from the massive obelisk belonging to his grandfather, William S. Burroughs I, who made a fortune from inventing an adding machine in the late 1800s. Lay left a wreath near the gravestone and read one of Burroughs' poems aloud. One person placed a flower near the grave. Another person left what looked like a snubbed-out joint or cigarette. Christian Matero (right) refers to Burroughs as"Uncle Bill" and says the writer influenced his love of punk rock. 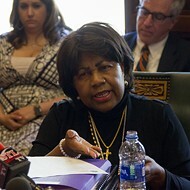 Richard Lay (center) spoke during the memorial service. 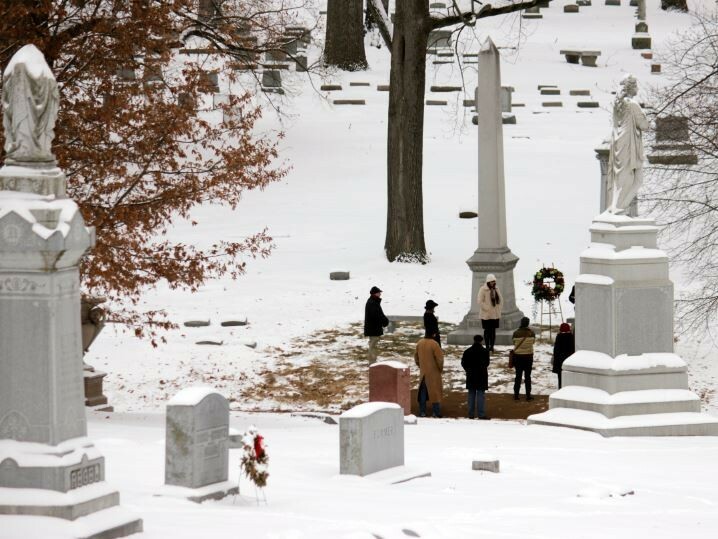 The cold soon drove the gathering indoors to a cake-and-coffee reception provided by the cemetery. 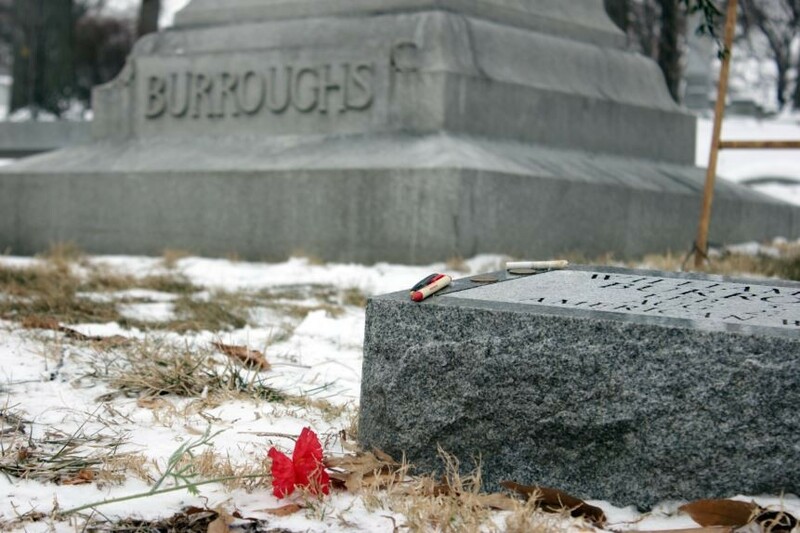 St. Louis resident Christian Matero, 42, told Daily RFT he discovered Burroughs at age thirteen. Indeed, it was a formative moment. "I ended up playing in punk rock bands. 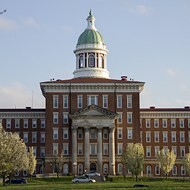 I discovered industrial music, this harsh bizarro music. Burroughs was a big influence in that industrial culture," he said. "I kind of miss Uncle Bill," Matero continued, "but he's still with us in his books. You can dig him up anywhere."